Choosing a Dog Breed: Make the Best Decision! Your excited kids are already choosing a dog breed to join the family, and you've decided that the timing is right. Each of the kids has their own favorite breed, and your friends and relatives are all too eager to recommend the "best" dog in the world. This is the perfect time to do some homework! Adding a new puppy or dog to the house is a big change, and once the novelty wears off, you want to make sure that you won't regret it. There are so many amazing breeds out there, it can be hard to narrow it down to one! This page will help you on your way to choosing a dog breed that is just right for you and your family, as well as where to look for one. 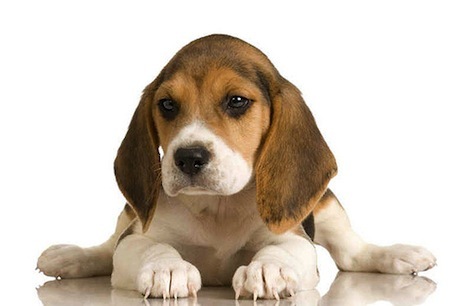 Remember, don't look at puppies until all your research is done. You don't want to fall in love with a cute little Boxer puppy when you don't have the time to give it as much exercise as it needs! Do you want a dog that is high-energy, and will play fetch for hours with you? Do you want one that is content with just one walk a day? What about personality? Eager to please, a real "people dog"? Or would you like a dog with a bit of sass and independence? One that will obey your every command, eagerly awaiting your praise? Are you looking for a good jogging or hiking partner? Or a couch potato? Do you or your child suffer from allergies? This is an important consideration when choosing a dog breed. Look for a hypoallergenic dog breed. Basically, the most important traits to consider when choosing a puppy are the temperament and energy levels, not the size or looks. Surprisingly, some large breeds are not very active, while some small breeds can go non-stop! Try this free dog breed selector quiz for a good idea of some breeds that might help you in choosing a dog breed. Dog breeds are roughly divided into seven groups. They aren't categorized by their size or looks, but what they were originally bred for. Therefore, you'll find that the dogs within each group will have similar energy levels, temperaments and instincts. Once you've decided on the breed that is the best fit for your lifestyle, you have a few more decisions ahead of you. Will you get a puppy or an older dog? 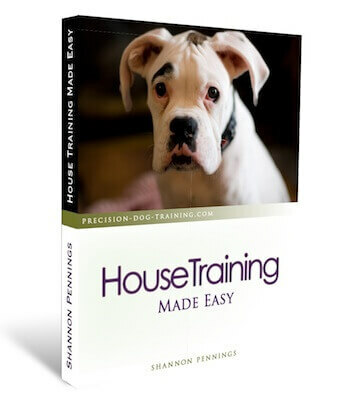 A puppy is A LOT of work, and will require much more training than an already housebroken dog. On the flip side, an adult dog may come with some bad habits that you'll have to work to remove. Getting a young puppy means that you'll be able to shape his behaviors right from the start. There are a couple ways to go about buying a puppy or dog. The first is from a reputable breeder. Search our Canadian Dog Breeder's Directory to find a breeder near you. Another option besides a breeder is to look in a dog shelter or on a site such as PetFinder.com. Now you need to take a close look at the puppy that you are considering taking home. Take the time to check out the pup's parents, if possible. Look at health, but also temperament. So now you've gone through all the steps, you've done your homework, and the family is ready to bring home the new dog or puppy. Your new pet needs a name! Want some good ideas for dog names? 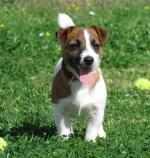 Take a look at our lists of male dog names or female dog names. Already have an awesome name picked out? Tell us what it is and how you came up with it! Choosing a dog breed takes some time and homework. Done right, you won't regret it! From here on, your new dog is a part of the family... and you'll need to care for him as such. With a little help and training, you and your pet will be on your way to a lifetime of happiness!